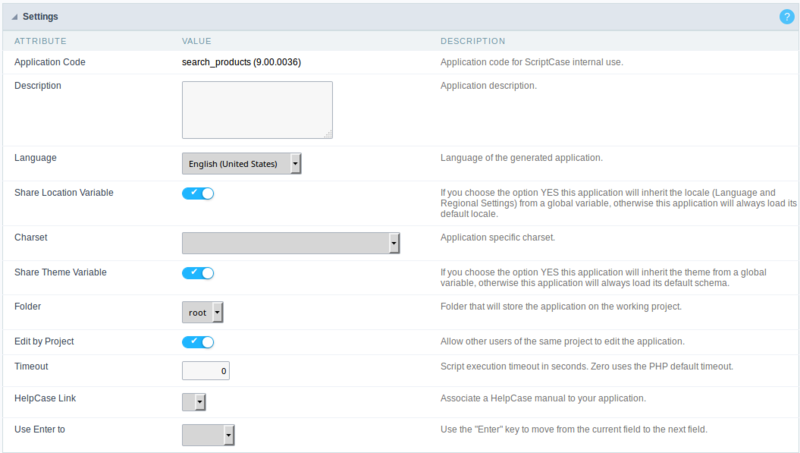 Application Code : Code of the application that’s determined at the moment the creation of the application, this code can be renamed in the main menu. Use Enter to : Allows the use of the Enter key to submit or tabulate the Form. Error Title : Title message of the error.